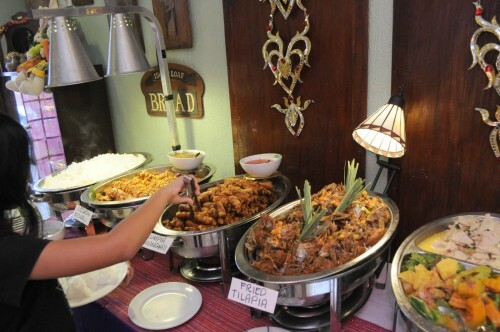 We went to Cafe Juanita for a family lunch to sample their famous Filipino buffet. 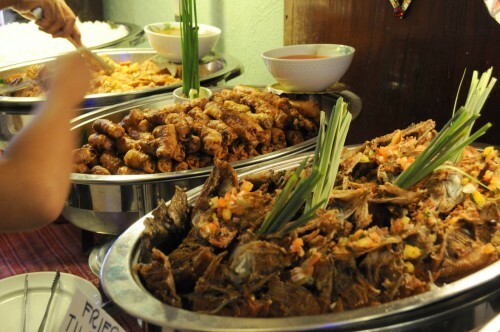 It was our during our first weekend in Manila and was the best way to be thrown back into the cuisine of the homeland, our favorite dishes filling voids we’ve accumulated over many years. 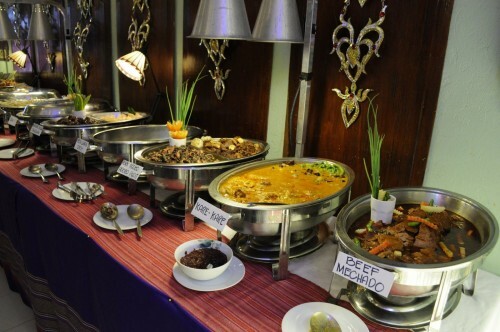 While Cafe Juanita’s selection is your standard issue festive buffet food, they did not skimp on quality and quantity the way a lot of buffets do. It was simply an unlimited array of our favorite dishes, so good that we had to be careful with our precious belly real estate and not fill up on items not deserving of the space. Lumpiang shanghai, lechon kawali, fried tilapia. 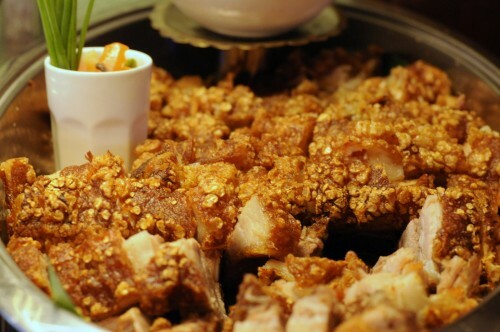 The fried pork belly (lechon kawali) was a hit because it was cooked to a perfect crispiness that makes the pork skin bubble in the process. They also had a row of just crispy skin for the purists who wanted death by cholesterol. As for the ambience, my sister actually uttered “Horror vacui!” (fear of empty spaces) to describe how the restaurant was over-decorated with whatever the management seemed to get their hands on, not really following any theme except for old, wooden, lacy and dusty. I wasn’t sure if claustrophobics or asthmatics would be the first to complain. But we did not come there for the visual experience, though I must commend them for the effort. 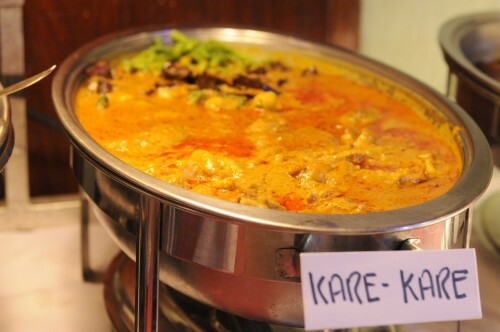 Kare-kare is my favorite dish because of many childhood memories of this dish, so I definitely had to partake of it. I was not disappointed. 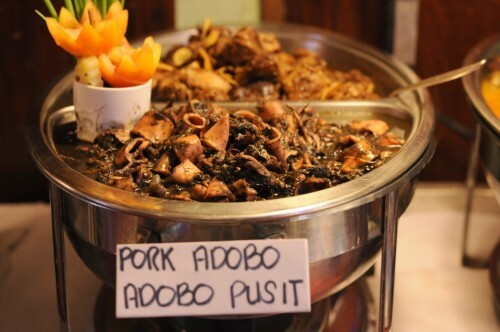 This entry was posted in Filipino Food, Restaurants and tagged buffet, cafe juanita, manila, philippines on August 21, 2012 by admin.